From I Love My Planet Toys via ImagiPLAY, comes a delightful and eco-friendly collection of toys sure to please little ones this holiday season. The Jasper’s Jungle collection is entirely crafted from certified organic cotton and naturally sustainable rubberwood. Each piece in this collection is lovely with a gorgeous vintage meets modern look. Plus these toys transition nicely from classically styled nursery decor to an older child’s favorite toy. 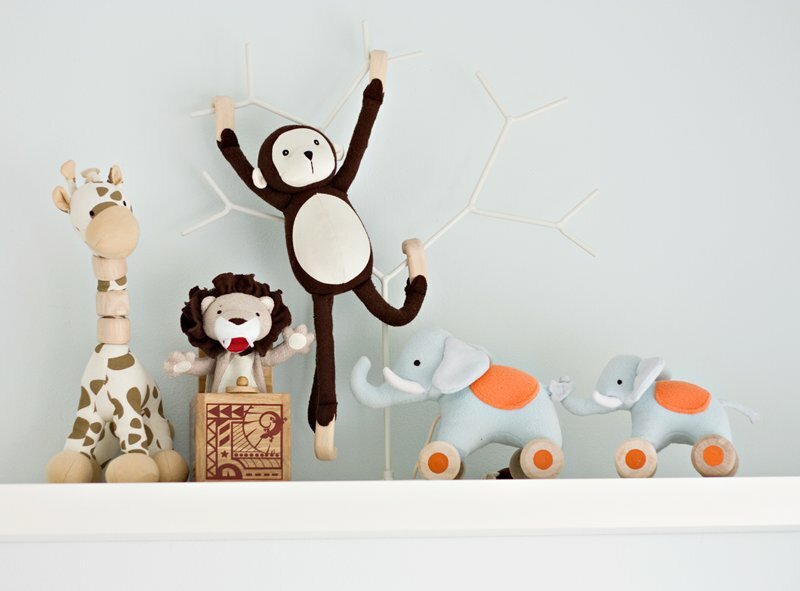 Each piece in this eco-friendly jungle assortment is carefully designed to stimulate a child’s senses and imagination. For example, the little Dangle Monkey features fun poseable arms and leg and clasping hands that allow him to hang almost anywhere. The Pop Up Lion is a fantastic twist on the classic jack-in-the-box toy, but features a friendly king of the jungle. 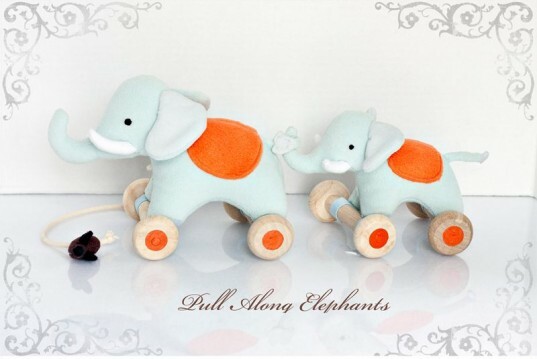 Pull Along Elephants are perfect for new walkers and is actually two toys in one, a mama and a baby. Last up in this collection is the whimsical Poseable Neck Giraffe who can look anywhere he pleases. Best of all, the entire collection, while eco-friendly, is also very affordable, with all toys at $30 or less.